As many of you know, I’ve been on a diet for the past few years. Dieting is not easy in this land of such great abundance. I have had to work very hard to resist so very many temptations. Some foods have been cut out of my diet all together. Most of the foods that I have had to eliminate from my diet are foods that I love. The most difficult food for me to resist is bread. I love bread and in order to lose the weight that I needed to lose, I had to eliminate bread from my diet. For the first few months of this diet, the only time I ate any bread was here in this sanctuary during communion. I must confess that I was only able to abstain from bread for about three months and then I simply needed a fix. So, after the initial shock of no bread, I gradually introduced just a little bread back into my diet. But I really miss bread. All kinds of bread. I miss great big hunks of crusty bread, endless slices of buttered toast, croissants, baguettes, bagels, rye bread, sourdough bread, white bread, raisin bread, stuffing, croutons, buns, rolls, breadsticks…I could go on and on and on…telling you about all the breads that I miss…I just can’t eat any of them. So, I hope that you will all give me a big “aahh poor Dawn” when I remind you that for the past few weeks all of the gospel readings prescribed by our lectionary have Jesus talking about bread. Come on I’m serious let me hear a big sigh of sympathy: “aah poor Dawn”. Bread, Bread, Bread, the gospel according to John: “I am the bread of life. I am the bread that came down from heaven. This is the bread that comes down from heaven, and if you eat it you’ll never die. I myself am the living bread come down from heaven. If any eat this bread they will live forever.” Bread, Bread, Bread, for five weeks in a row, preachers all over the world are doing our darnedest to serve up Jesus as the bread of life, bread for the world, bread that comes down from heaven, bread that provides eternal life. Bread, Bread, Bread. I who am not supposed to be letting bread pass my lips; I have been called upon to create sermons that will satisfy the lectionary’s insistence that we gorge ourselves on words and images which offer up Jesus as bread for the world. So, to help you understand a little bit of what it is like to be so hungry for bread, whilst trying to create sermons which inspire hunger for bread, I decided to bring you this basket of bread. Look at it isn’t it beautiful. Buns, buns, and more buns…bagels, croissants, more buns. Bread, bread, bread. Isn’t it beautiful? Take a long, deep breath and smell just how marvelous this is? It is the aroma of bread that gets to me. There’s nothing like the smell of fresh bread. I read somewhere that it is not the smell of bread that makes us hungry for bread, but rather that the aroma of bread alerts us to our hunger. Which means that the hunger is already there, and the smell of bread simply reminds us of our desire for bread. It doesn’t make much difference to me, which comes first the smell or the hunger, I just want some bread. I love me some bread. Bread is comfort food to the enth degree!!! When it comes to comfort food, just give me bread. I don’t think I’ve ever met a bread that I don’t like; as long as it’s fresh, I’m hungry. So, for weeks now, Jesus the great I AM has had his mouth filled by the storyteller we call John with words about bread. And all the while I have been hungry for bread. Jesus keeps promising to satisfy that hunger; Jesus is the bread of life, bread for the world, bread that provides eternal life. For weeks now, our liturgies have been full of hymns about bread, so have our prayers. It’s a good thing that I’m on vacation after today, because next Sunday the gospel according to John will give you more images of Jesus as the living bread. My hunger for bread, might just surpass my hunger for something more important than bread, so, before I gorge myself on this basket full of bread, let me try to shift our attention beyond the bread to that to which all this talk of bread is designed to point us toward. Remember it is not the bread that makes us hungry but rather the bread that alerts us to our hunger. So, what is it exactly that we are hungry for. As humans we all share this insatiable hunger for something more. Something beyond mere food. Something beyond that which we can explain with words. Something beyond all the images and symbols. Something beyond our very selves. Something beyond the sum of all of us. Something that we call God. This longing to know, this desire to touch or be touched by, this hunger for that which is bigger than us, more than us, beyond us, out there and yet deep, deep, within here, this appetite that drives us to seek out, to question, to wonder, is the very stuff that drives us as a species. We call this something God. Others call it by other names; names like knowledge, wisdom, force, energy, spirit or love. This object of our desire, our hunger, our thirst, our quest, our longing, this thing beyond words or symbols which is sought after by those who see themselves as spiritual or religious. These days the seekers of this experience beyond words all too often describe themselves as spiritual BUT NOT religious. I spent part of my childhood in Belfast, so the excesses of religion are in my bones. We live in a world fractured by the tensions between religions. Religious fanatics and fundamentalist of all sorts of religions have given religion a bad name. So, it isn’t surprising that those who have turned their backs on religious institutions would describe themselves as spiritual but not religious. I get it. There are days when I’d very much like to join the spiritual but not religious crowd myself. The phenomenon of spiritual but not religious has been described as the fastest growing denomination in the world. Dubbed the NONEs for answering the questions about their religious affiliation with the response “none,” the NONE’s are making their presence known in our culture. Spiritual but not religious is the creed of the NONE’s. Within the church we have all sorts of groups which spurn various practices because they are judged to be too religious. Spirituality is the new buzz word as we all struggle to deal with our hunger for that something more in ways that will not lock us into religious practices that feel too confining, or demanding, or off putting, or simply obsolete or out of step with reality as we know it. That old time religion may have been good enough for grandma, but today people want newfangled spirituality. And who can blame them? Well the religious people are ready to blame them. All sorts of church people scoff at those who call themselves spiritual. You don’t have to search very far in the church to find criticism of the spiritual but not religious crowd. The condescending way in which religious type describe NONE’s as new-aggie, touchy feely, narcissistic, self-involved, selfish, unable to commit, lacking a desire to serve others, or perhaps the most scathing insult of all, that they are incapable of forming or living in community. And by self-definition the NONE’s describe themselves as spiritual but not religious as if being religious is some sort of disease which if caught renders its victims incapable of genuine spirituality. We are living in the midst of one of the greatest sea changes in how we seek, see, and think about the one we call God. As human understanding and knowledge of reality expands and our ability to access information about that knowledge increases exponentially our minds are being blown. None of us can keep up, the pace is unbelievable and when we do pause to try to take it all in, we can barely recognize who we are let alone who are neighbours are. It is as if more information is leading us down a path toward a wilderness that is both exciting and frightening to wander around in. Like the stories of our ancestors wandering in the wilderness, some of us can’t think of anything better to do than grumble about the precarious state we find ourselves in. Despite the manna upon which we are privileged to feed, we want something more, something different, something like we had before, something familiar, something other than manna. It is as if both spiritual and religious types would rather let the bread with which we have been provide go stale so that we can go in search of something other than the splendid manna which is within our grasp. Yes, there is a lot of stale bread in our religious past and present, but there is also some really nourishing bread. Yes, there is a great deal of what can only be described as cheap wonder-bread in the spiritual practices of the narcissistic, self-involved, shallow NONE’s, but there is also some incredibly nourishing wonderful bread capable of feeding millions of starving multitudes within those who are daring to explore spiritual practices which move us beyond the limits of our comfort zones. Spirituality and religion are not mutually exclusive. It is possible to be both spiritual and religious. Indeed, religion without spirituality is like manna past its sell by date, rotting away and stinking to high heaven. But spirituality without religion is also day-old manna, incapable of sustaining our life together in community. We are after all human beings and by our very nature we are beings who require other beings in order to thrive. We are called into community with one another and we bring into our communities our spiritual practices and once we do that we are about the task of being religious. By definition the word religion is about re-connection. Religion at its best is about reconnecting us to creation and our creator and just as importantly reconnecting us to one another. I know that I am perfectly capable of baking bread in my own kitchen. Each of us, if we had to, could bake bread on our own. Most of us are capable of baking only mediocre bread. I suspect that the vast majority of us would much prefer the breads we find in bakeries, there are even one or two super-markets who make smashing bread. I also know that from time to time, there are rare individuals who can bake the most incredible bread all by themselves, these are folks that I want to sit down and break bread with and I don’t mind going to their place for such an opportunity. Now, I know that bread is not everyone’s cup of tea. Bread can be toxic to some, just as religion can be toxic. 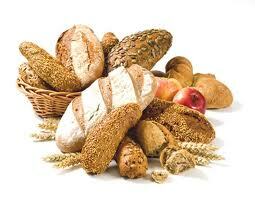 But we’ve created all sorts of non-toxic bread, we even have gluten-free breads that are capable of nourishing us. Surely, we are just as capable of creating non-toxic religion, we can create religious practices that are boredom-free that are capable of nourishing us. It is time or both spiritual and religious folk to stop sniping at one another. It is time for us to begin to recognize the manna that each of us bring to the table so that we can feast together and begin the real work to which we are called and share the wealth with which each of us have been blessed. There are so many hungry people among us and beyond us. 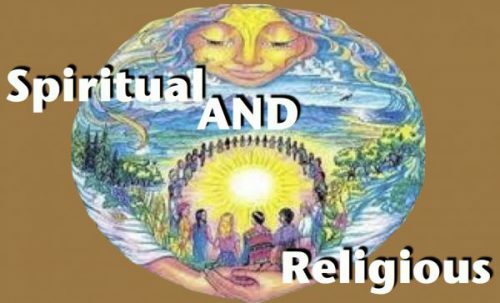 We can be both spiritual and religious as long as our religion and spirituality are recognized for what they are integral partners in our quest for the one we call God, some call reality, knowledge, wisdom, force, energy, spirit or love. While I was preparing this sermon, Carol went into the bakery to pick up a couple of loaves of bread that I’m allowed to eat from time to time. It is a high-fiber, low-glycemic white bread that only has 75 calories and because it doesn’t have any sugar in it, I can have a slice of toast in the morning. It doesn’t satisfy my hunger for real good bread, but it helps me to stay on my diet. Well Carol picked up some of this healthy bread, and she also picked up a treat. A single bun – I mean a real bun, a French crusty bun. So fresh it positively cried out to be slathered in butter and gobbled up. Well, while my head told Carol that this was a perfectly nice gesture, but I couldn’t possibly afford to eat it, my heart said, wait a minute….I’ve been a good girl, I can always walk a few extra kilometers on the treadmill…I can just put a little bit of butter on it…and then it hit me the smell of the little crusty roll hit my nostrils and I knew that I was indeed so very hungry…So, rather than say no, I said yes please, and I broke that little crusty bun and Carol, the love of my life, and I we shared that little role and it was like manna from heaven. Everyone knows that just like manna, crusty bread needs to be eaten right away or it looses it’s crustiness…and just like manna crusty bread is best eaten with company. Spirituality like manna takes on a whole new dimension when it is shared, in community our spirituality is different, yes in community spirituality is religion, and when infused with spirituality our religion is manna. We all need to experience spirituality in solitude. All religions, at their best, encourage solitary spiritual practices, but even the most solitary among us, also needs to practice their spiritually in community and when we practice our spirituality together we are practicing religion. We are spiritual and religious beings. We are nourished best when our religion is spiritual, and our spirituality is religious. Companionship is perhaps one of my favorite words. Companion is a word that came to us from the French – com means with and panis means bread. Companions then are those with whom we break bread. For those of us who claim to follow the Christian religion, we meet God in the breaking of the bread, in companionship. In companionship with one another, with the one we call God and yes, companionship with our very selves. In Jesus we meet a human who saw himself as bread for the world. In Jesus we meet the kind of companion who inspires us to be bread for one another. So, dear friends, let us break bread together. Manna from heaven. Bread for the world. Companionship. Both spiritual and religious companions breaking bread together, nourishing one another as we wander in the wilderness seeking the ONE in whom we live and move and have our being; the great I AM. Benediction: You are Manna from heaven. You Bread for the world. Creator Christ and Spirit ONE. Amen. This entry was posted in Adult Education, Evolutionary Christianity, Home, Progressive Theology, SERMONS, STORIES, Theology and tagged Bread of Life sermon, evolutionary christianity, Lutheran sermon John 6:35-51, NONE's sermon, Ordinary 19B sermon, progressive Christian sermon John 6:35-51, progressive Christian sermon Pentecost 12B, progressive christian spirituality, progressive theology, Proper 14B sermon, Spiritual and Religious, spiritual but not religious sermon, spirituality by Rev. Dawn Hutchings. Bookmark the permalink.